Who real-timed it best - Audi or Volkswagen? German automobile brands enjoy their country's 7-1 romp over Brazil in the World Cup. 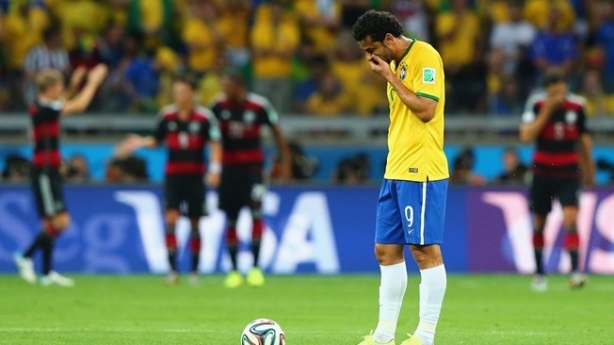 Germany had no trouble dispatching host country Brazil from the World Cup on Tuesday, easily winning 7-1. With the game in effect over midway through the first half, brands had plenty of time to respond to the blowout – or poke fun at Brazil’s poor showing. Here’s how two German automakers, luxury brand Audi and parent company Volkswagen, playfully showed national pride during the match. Tweet at @PRWeekUS to vote for the brand that scored highest in real-time, Audi or Volkswagen. And while the German national team broke several records during the game, the match did so as well. It now stands as the most-discussed sports game ever on Twitter. Who real-timed it best - Cinnamon Toast Crunch or Snickers? Taking a knee: Did Nike do the right thing with its Colin Kaepernick ad?